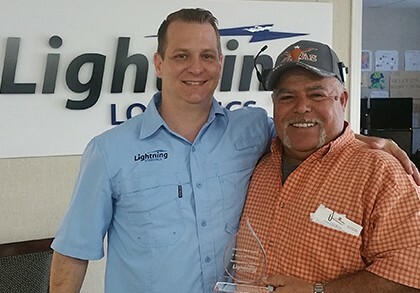 Join us in congratulating Hector Rodriguez on completing 5 years driving with Lightning in April 2015. Hector drives a tractor with a 48 ft trailer. He has a excellent safety record and is one of our best drivers. His sense of humor has always been entertaining and he keeps us laughing whenever he comes into the office. Congratulations Hector! 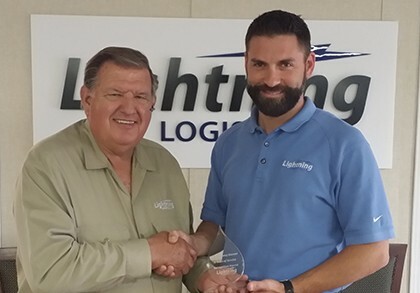 James (Chris) Garrett celebrated his 5 year anniversary with Lightning on April 9, 2015. Chris is a Hot Shot pick-up truck driver and he is a model driver in every way. His professionalism and friendly attitude makes him a joy to work with. We are proud to have him on our team and are glad that he chose Lightning for his driving career. Congratulations Chris! In an effort to give back and bless our community Lightning Logistics put together blessing bags. These bags contain a bottle of water, snacks, and band-Aids. We gave the bags to our employees who will distribute them to the homeless people they see standing on the street corners throughout the city. Lightning Logistics provides transportation services for everything from Pick Up Trucks to Oversize movements. Call us today for a quote! Our New Building is Finally Going Up! 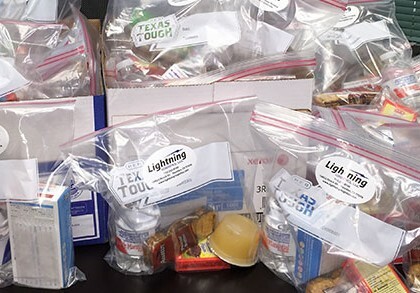 In keeping with our core values on stewardship by being charitable with our assets, Lightning Logistics held a food drive to benefit the Houston Food Bank for Thanksgiving. We collected nonperishable food items and delivered them to the Houston Food Bank to help fill the coffers for those less fortunate. It’s a beautiful day in Orla, TX where the sun is shining and Lightning drops off the drill pipe that brings home the black gold!